What kind of space do you need? Where should you be located? What kind of space do you need and where does it need to be located? Do you need a store-front accessible to customers and walk-in traffic? Warehouse/manufacturing near a major highway? Home-based? Office? Once you determine the type of space and ideal location, visit the Waynesboro Economic Development searchable database, talk to your favorite real estate agent? ?or call the Community Partners listed in our Resource Guide to help locate some options. Remember that there are zoning laws in effect. Zoning helps identify what types of businesses can be located in different parts of the City. Verify zoning requirements and understand any restrictions on operation or required permits. If you are operating your business from a building or your residence, check with the Building and Zoning office to make sure the building is zoned properly or apply for a home occupation permit. 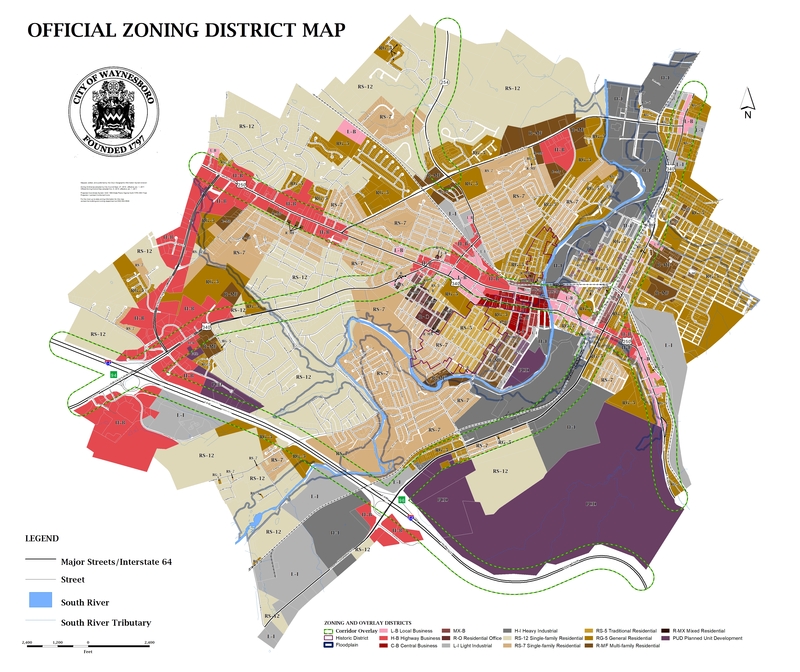 A map of the zoning types can be found here and the complete zoning ordinance can be found here or you can call the Waynesboro Building and Zoning Office for assistance. Do not assume that the existence of a similar business or past businesses at that location means your business will be acceptable. You may need to hire an engineering firm and or architect and file a site plan. Home-based businesses also may require permits and zoning. I have a location. Are grants or incentives available?